Keep leaves cleared during winter visits, good garden hygiene helps reduce diseases. Decomposing leaves and other debris on hard standing will supply enough nutrients for weeds to self seed in cracks, grow and then spread – they can also make paths slippery. Weeds will continue to grow during a mild winter, ensure all borders are weed free to allow border plants to grow in spring. Wrapping pots in bubble wrap can protect against the frost, and horticultural fleece can keep vulnerable plants safe – using twine can help protect your garden against the wind and cloches can protect your plants and help things grow when the temperatures drop, but keep them somewhere protected from the wind like a wall, edge of a building or hedge. If you have a greenhouse then this is the best way to keep plants warm and safe. Some plants are dormant during the winter months but as long as soil is not frozen or waterlogged then these plants can be re-planted before they ‘wake-up’ in spring. Lawn seed can be applied in winter as grass grows above 5 degrees. Winter is a good time to dig a new border, leave soil in clumps – the winter rain and frost will help it break down naturally – this will also expose any pests to natural predators and the cold. Checking your soils PH levels is crucial, especially if you are a regular compost user (this can gradually increase the acidity of soil and throw levels off). Digging over vegetable plots or preparing new ones can also be done during the winter months – cabbage, watercress, beetroot and other hearty plants and herbs are perfect to grow through the winter months. In winter you are seeing your garden in its bare bones, and what repairs are needed - leaky shed roofs, loose paving, blown down fences – this is the time of year to do these tasks. While it may seem obvious in the winter months , most people often neglect to clean their decking, but this is the most cost effective way of maintaining its longevity – tackle any debris, moss or mould that may have formed on the top of the decking by sweeping repeatedly until clear, then go-ahead and wash using a hosepipe or better still a pressure washer. To keep it looking its best protect your decking once a year using a decking protector, decking stain or deking oil – this will absorb any water, creating a translucent, water-proof layer. Decking stain comes in a variety of colours, and as well as weatherproofing the wood will make the decking look fantastic. 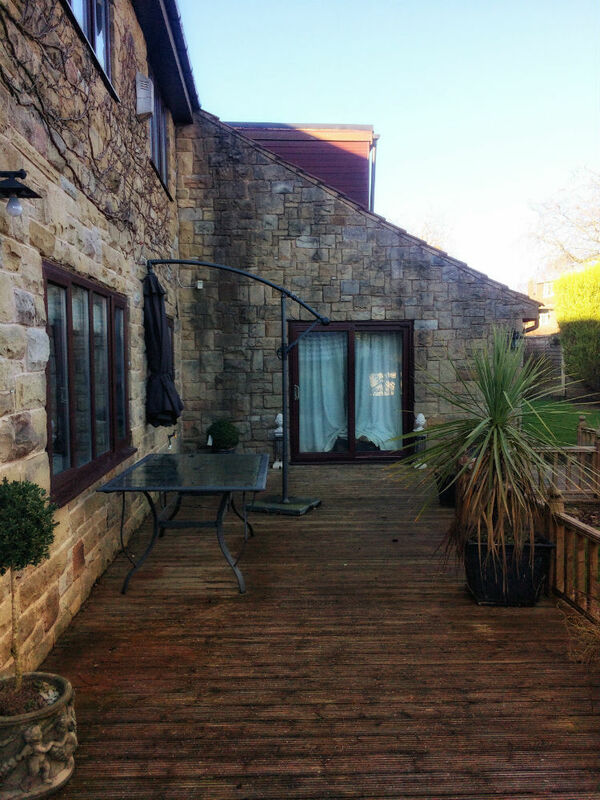 If you are looking for a property with a garden that is easy to manage all year round but has amazing decking and round the clock sunshine then please view Meadow Garth in Bramhope, Leeds.